Sheffield 70-Inch Double Vanity Cabinet in Espresso Distinctive styling and elegant lines come together to form a complete range of modern classics in the Sheffield Bathroom Vanity collection. Inspired by well established American standards and crafted without compromise, these vanities are designed to complement any decor, from traditional to minimalist modern. Available in multiple sizes and finishes. 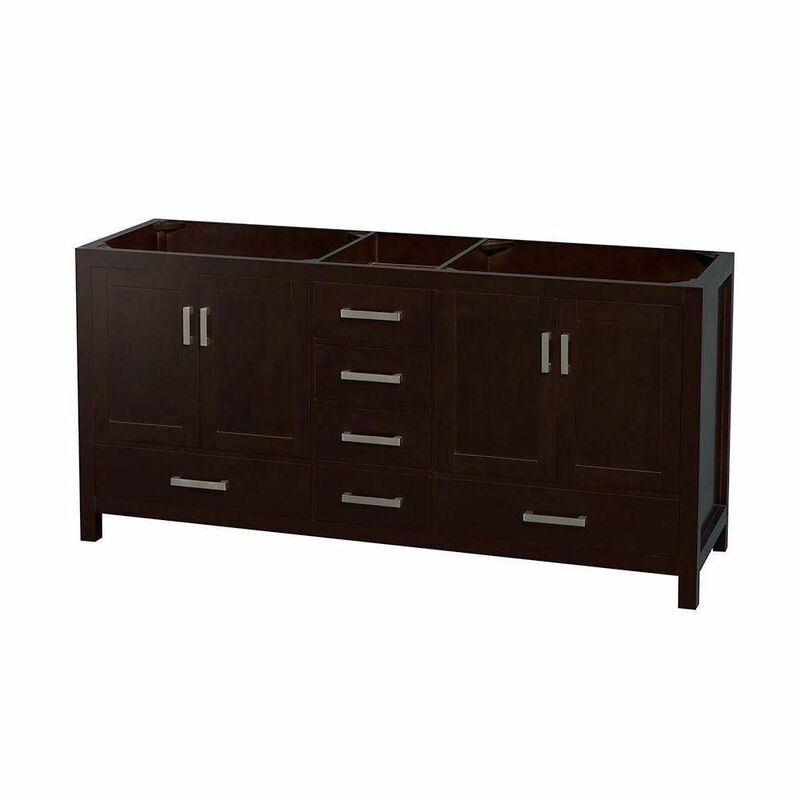 Sheffield 70-Inch Double Vanity Cabinet in Espresso is rated 4.0 out of 5 by 2. Rated 5 out of 5 by depot from We are so very happy with our new vanity cabinet. The beauty and quality is wonderful. We are pla... We are so very happy with our new vanity cabinet. The beauty and quality is wonderful. We are planning on purchasing another vanity for our second bathroom and will certainly go with this same brand. Thanks for providing such a great and beautiful product. Rated 3 out of 5 by Rob from Nice Vanity This is a nice vanity and surprisingly well made. The one knock on it is that the screws are too long on the door handles so they are all loose. The sliding drawer handles are fine. I'm going to try adding some small washers behind the screws to tighten that up. Also there was some slight damage (three inches of chipped edge) to the top of the vanity but once the granite was installed you can't see it fortunately.